March is a beautiful time of year to visit Prague, with the winter chill finally beginning to fade. While visitors may see the occasional snow flurry in March, and cloudy days are the norm, there's enough to do in Prague during the month of March to make a visit worth it. Prague doesn't typically attract a lot of tourists in early spring, so visitors will probably enjoy lower-than-usual prices on hotels and plane tickets, and lines to get into attractions won't be a major issue. Spring is a beautiful time to visit Prague. The weather is still cool—with average temperatures hovering between 32 F and 46 F—however it's manageable compared to the frigid winters. Plus, March sees very little precipitation, with only 1 inch of rain on average, and sunny, clear skies being the typical forecast. When packing your suitcase for a trip to Prague in March, think layers. The weather can vary greatly from one day to the next, but you'll want to have sweaters and long-sleeved shirts, as well as a heavy jacket or coat, gloves, and a hat, just in case. If there's any leftover snow from February, you may want to throw in waterproof shoes or leather boots to keep your feet warm too. 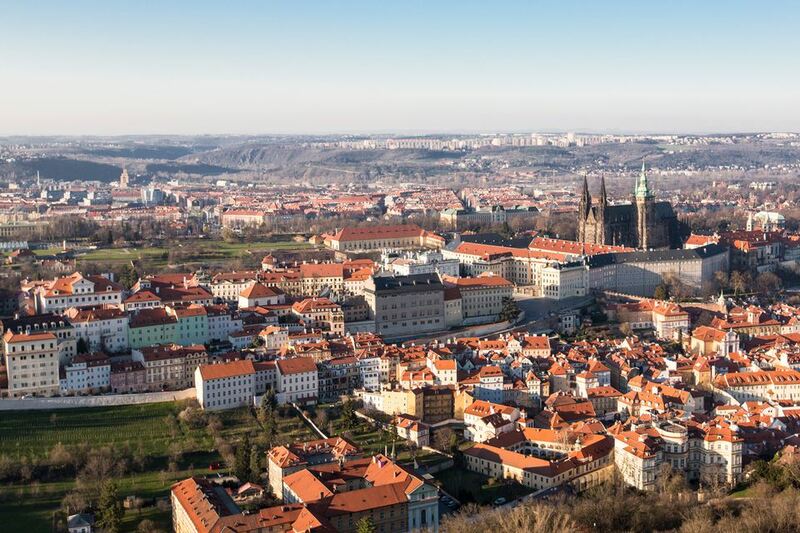 Visitors to Prague want to make sure Prague Castle, which dates back to the 9th century, is on their must-see list. This display of history and architecture is one of the most recognizable destinations in the city and one of its most remarkable. It's still used as a government building, housing the seat of the Head of State of the Czech Republic. Known as Stare Mesto in Czech, Old Town Prague is not far from Prague Castle. In Old Town Square, Gothic, Renaissance, and medieval buildings surround the central square. Be sure to check out the 600-year-old astronomical clock in Old Town Square, which draws crowds with its hourly chimes. If Easter falls in March, you'll be able to visit the Prague Easter Markets, purchase Czech Easter Eggs, and enjoy Easter in Prague. Old Town Square and Wenceslas Square have the best-known Easter Markets in Prague. Easter is an important holiday in Czech culture as it is in many Eastern European cultures. Many families gather before Easter to decorate Easter eggs, known as kraslice in Czech. Traditionally decorated Czech Easter eggs can also be acquired as souvenirs at markets and in shops. Although it may not be the most obvious celebration for this city in Eastern Europe, there is ample opportunity to celebrate St. Patrick's Day in Prague, which holds an Irish Music Festival every March. Irish music, dance, and culture are all on the program of performances during this six-day festival. Music and dance groups come from Ireland and the Czech Republic and include a variety of different Irish music styles, from traditional to modern. All the Irish Music Festival concerts and performances are held in Caffery's Irish Bar and James Joyce Irish Pub. Febiofest: Prague International Film Festival is one of the largest independent film festivals in the Czech Republic. It began in 1993 as a low-budget event for moviegoers and is held every March in the Cinestar Andel near Old Town.